Share what's on your iPad or iPad mini screen with an even larger audience by connecting it to a TV, monitor, projector or LCD display that uses a VGA connector. 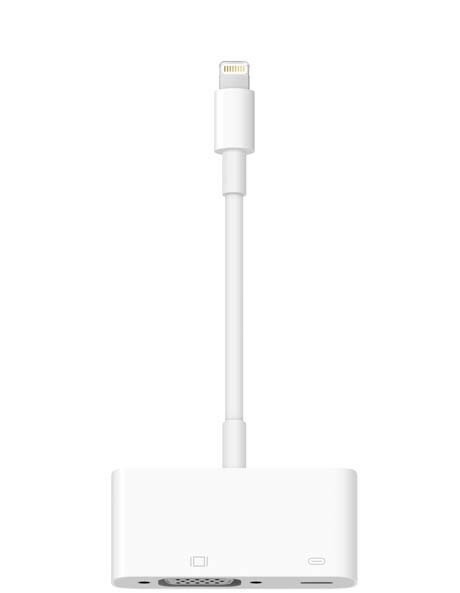 The APPLE Lightning to VGA Adapter MD825ZM/A supports mirroring what is displayed on your device screen including apps, presentations, websites, slideshows and more, to your VGA-equipped TV, display, projector or any other compatible display in up to 1080p HD. It also works for video content too. However, it does not support audio output.